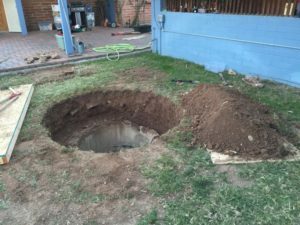 Purchasing a new home is an exciting adventure within itself, but when Tucson resident John Sims bought a house from a friend it was likely the last thing he expected to find were the leftover remnants of a Cold War bomb shelter buried in the back garden. Upon hearing rumor of the abandoned shelter, Sims immediately requested a shovel and started exploring. Several hours of digging yielded little result and Sims began to lose hope. Exhausted and worried the shelter had collapsed or been built under layers of brick, Sims decided to hire someone to help. Using a metal detector Sims and the specialist were able to identify exactly where to start excavating. 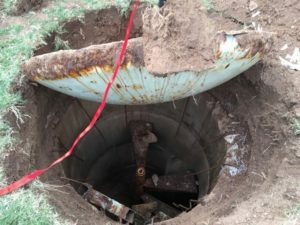 The detector had located a large metal cap three foot under the soil. 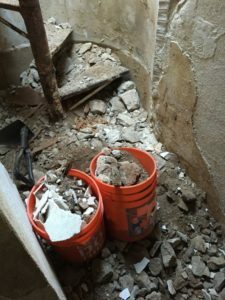 Sims started shoveling and eventually uncovered the entrance to a 54 year-old Cold War bomb shelter. 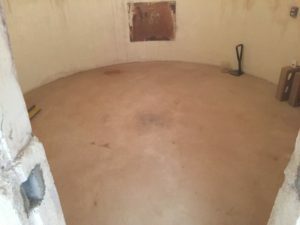 A specialist in confined space rescues for the Rural/Metro fire Department, Sims was able to remove the solid metal lid but waited 24 hours before exploring what lay beneath. Once the exploring began, Sims found a hollowed out shelter with fiberglass dome construction, full of rubble. 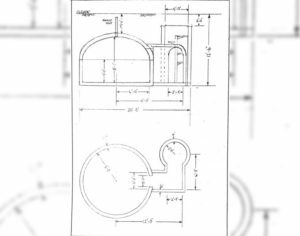 Records revealed that the bunker was built in 1961 at the height of the Cold War by Whitaker Pools. The company were responsible for building several similar shelters in Tucson during the sixties. It is estimated that the shelter would have cost around $2700 at the time. “The Cuban Missile Crisis was a big push for them in that era.” Said Sims. During the Cold War Tucson, Arizona was home to almost 20 ballistic missiles armed with nuclear warheads, ready to fire at a monument’s notice. Sims and several friends embarked on a lengthy journey to restore the entrance and rusted spiral staircase before restoring the main structure. “I was really hoping it was going to be a little microcosm … a time capsule full of civil-defense boxes, radiation detectors and cots and stuff like that,” Sims said. Sims states that he plans on spending at least one night in the shelter once it is restored and is looking forward to having a retreat from the summer Arizona heat. 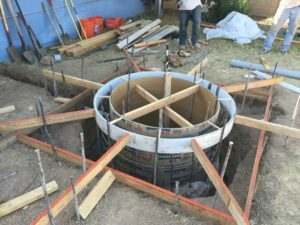 For homeowners curious about whether there’s something exciting (such as a bomb shelter) within the land of their current or future home should start with the disclosures. Planning Reports provided Groundsure can go as far back as ten years and highlight many potential issues. You can purchase a Planning Report and any other Environmental Search you require, directly through Pali. For more information on the products Pali supply please contact a friendly member of the team on 0800 023 5030 / search@paliltd.com. 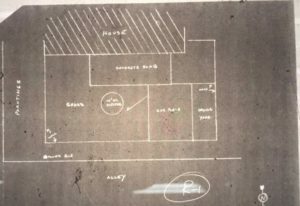 This entry was posted in blog, Conveyancing, environment, Uncategorized and tagged Bomb shelter, Groundsure, Pali, Planning, Terrafirma, Underground. Bookmark the permalink.